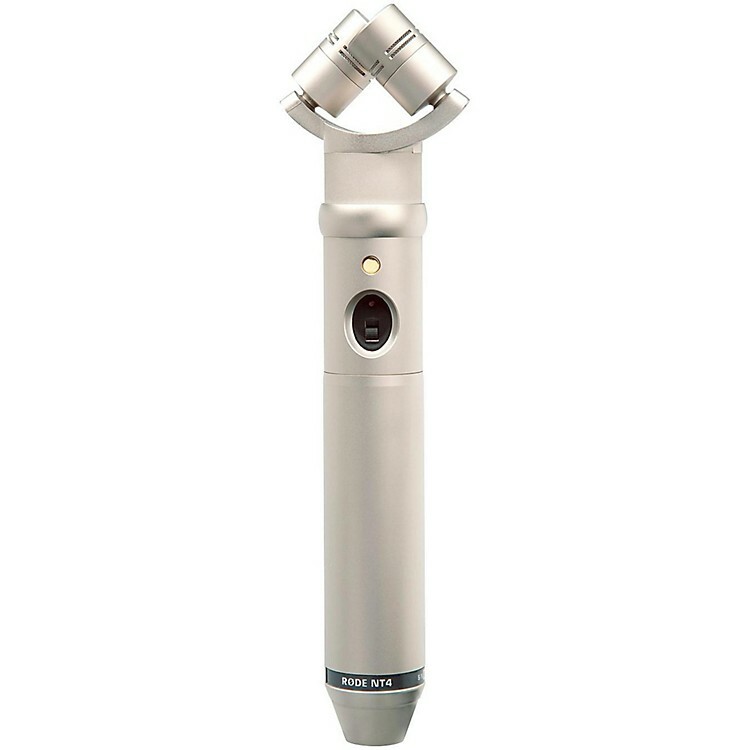 The R˜DE NT4 Dual-Element Stereo Microphone is a small-diaphragm condenser microphone specifically designed for stereo recording. It features dual heads in a 90 XY configuration-great for acoustic guitar, live concerts, and when mono-compatibility is an issue. Its compact size and design allows for effective and subtle positioning which is crucial when close miking. The NT4 is supplied with a custom case, stereo breakout cable, stand mount, and windscreen. It's like getting 2 mics for the price of one - ORDER TODAY AND SAVE!